UPDATE: Gen. Musharraf has just announced his resignantion during a nationally televised address. Read more here. 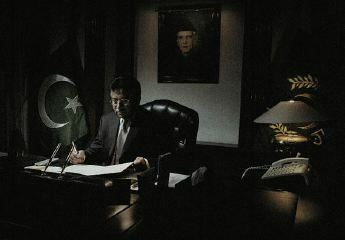 Gen. Pervez Musharraf is slated to the address the nation in a televised address at 1PM PST today (Monday, August 18, 2008). Leading newspapers, such as The News and Dawn, are reporting that he is likely to announce his resignation and TV News channels are doing the same; indeed some have started running film summaries of his tenure as President as if his departure is already a done deal. It may well be so. But given that this is Pakistan and this is Gen. Pervez Musharraf, one must never rule out the likelihood of surprises. My own sense is that if he does make the planned speech he will use it to describe, defend and detail what he considers to be the “achievements” of his tenure as President. While a formal “charge sheet” against him may never be tabled in Parliament, he will use this speech to answer the charges that have been and are being made against him. Expect, then, a speech that lists what he things he has achieved and responds to the lists of what his distractors say he has failed to do. This he will certainly do. At the end of all this (a) he could say that although he has done his very best and beyond, in the interest of the country he will leave the office of the President so that the opposition to his person does not impede national progress; or (b) he could say that since he is proud of what he has achieved he will, like a good commando, fight to the very end because that is what is in the interest of the country. No matter which course he chooses, this will be one of the most important (if not the most important) speech of his life. Given the way things stand right now it is more likely than not that he will take something akin to the first course. But even if he does not, it is quite clear that he is on his way out. If not today, then soon. If not through impeachment, then through resignation. 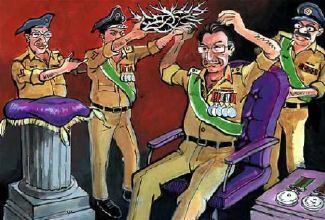 The question uppermost on most Pakistani minds is no longer whether Gen. Pervez Musharraf is on his way out. It is, what will happen to Pakistan after he leaves? Will everything become perfectly good once he is gone? Will things become not perfect but better? Will things becomes even worse? What do you think? What can i say, but only that i love Musharraf. ATP Poll: Musharraf Says He Will Contest Elections, Form New Party; What do You Say? Gen. Musharraf Speaks: But What Is He Thinking?